A Bali 2 week travel itinerary is so full of rewarding destinations, sights and activities that it’s possible to spend two weeks doing something different every day of your trip. From outstanding beaches to historical temples, trekking adventures, yoga retreats, great food, luxurious resorts and more, Bali has a huge amount to offer as a destination. With two weeks, you’ll have enough time to see the “classic” Bali in popular beach destinations like Seminyak, Legian and Kuta. 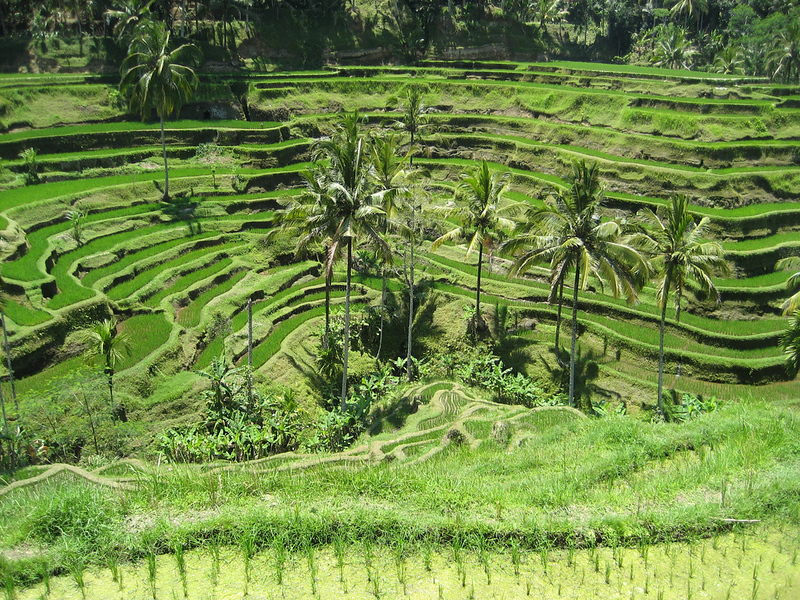 You’ll be able to visit Bali’s top cultural sites around Ubud, from incredible temples to picturesque rice fields. You’ll also have time to see the other side of Bali – rugged volcanoes, quiet fishing villages and national parks — that most visitors don’t see. In many ways, two weeks is the perfect amount of time to spend in Bali – enough time to see the best of the island without ever feeling bored. Below, we’ve put together a detailed list of things to do during your two weeks in Bali. Our Bali itinerary starts in the south of the island on one of its many beach resorts before taking you to the cultural hub of Ubud and on to the island’s quieter, less explored side. Before we get into the day to day itinerary, we’ll cover the major destinations on the island that you’ll have the chance to visit and share some important information for female travellers visiting Bali alone. Bali might look small, but it’s a big island with a huge variety of different resort areas, towns and a single city. The island’s congested traffic (particularly in the south) can make travel slow, so it’s best to pick two to three destinations for your trip and focus on the surrounding areas. For a two week holiday in Bali, we recommend staying in three areas. Our itinerary divides your trip into three sections: one in South Bali on one of the island’s famous beach resorts, one in the cultural hub of Ubud, and the final leg exploring the west and north of Bali. South Bali is the island’s tourism hub — a collection of beaches ranging from loud, busy and fun to quiet and relaxing. This area also includes the Bukit Peninsula in the far south of Bali, which is home to many of the island’s most luxurious resorts. 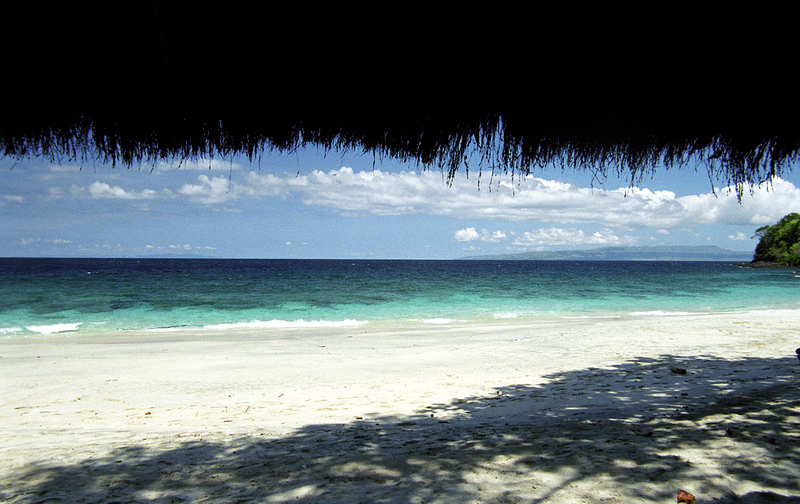 Our itinerary starts in South Bali, with three nights in one of the island’s beach resort towns. Kuta is the most popular beach resort area in Bali. Popular with surfers and backpackers, it’s the island’s nightlife capital. You’ll find the best selection of bars and restaurants in Bali around Kuta, as well as a wide variety of hotels and guesthouses in all price ranges. Legian is located north of Kuta. 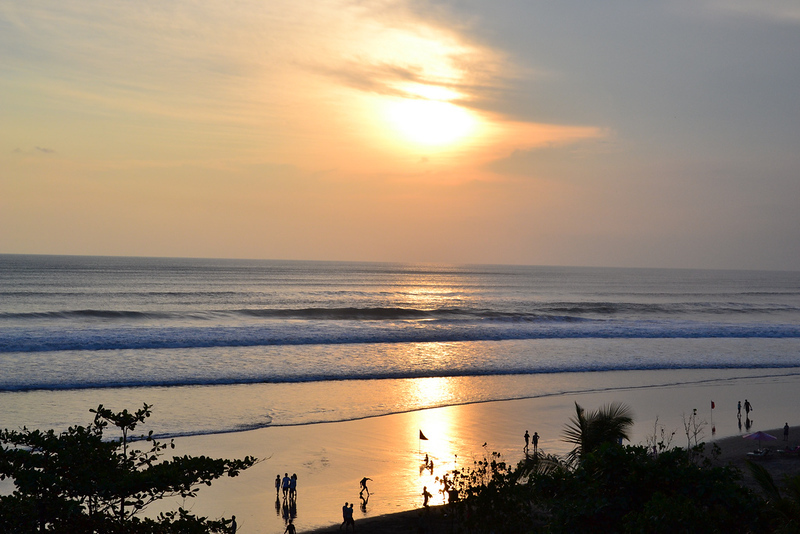 Quieter and more laid back than Kuta, it attracts a mix of solo travellers, families and couples. Legian has a popular surf beach, a reasonable variety of bars and restaurants and lots of mid-priced accommodation. Seminyak is the most fashionable of Bali’s southern beach resorts, with a variety of upmarket resorts, bars and nightclubs. Boutique shopping and a great variety of international restaurants make this one of Bali’s most popular expat hangouts. Nusa Dua is an upmarket area on the Bukit Peninsula in the far south of Bali famous for its five star resorts. Bali’s most exclusive area, Nusa Dua is great for rest and relaxation, although it’s lacking the culture you’ll find on the rest of the island. Denpasar is the capital of Bali and the island’s main administrative area, although it has little of interest for tourists. Attractions are limited to a few local markets and shopping malls, as well as several popular temples. Ubud is a town in Central Bali famous for its relaxed atmosphere and huge variety of cultural sites. Popular attractions include some of Bali’s most iconic temples, beautiful rice paddies, a variety of yoga retreats and several adventure tours. As the second stop on our two week itinerary, we recommend spending three to four nights in Ubud. East Bali is a quieter, less crowded area than the island’s bustling south, with a great variety of beach towns and fishing villages. 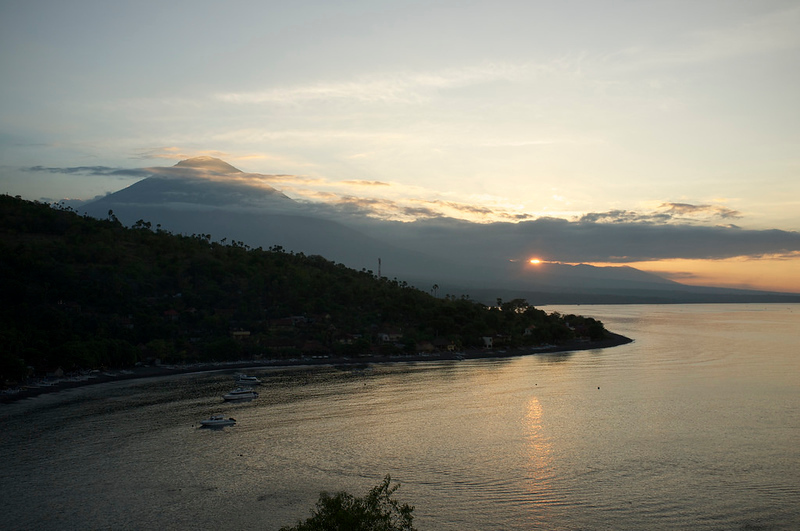 Mount Agung, the island’s tallest mountain and a popular day trip, is located here. 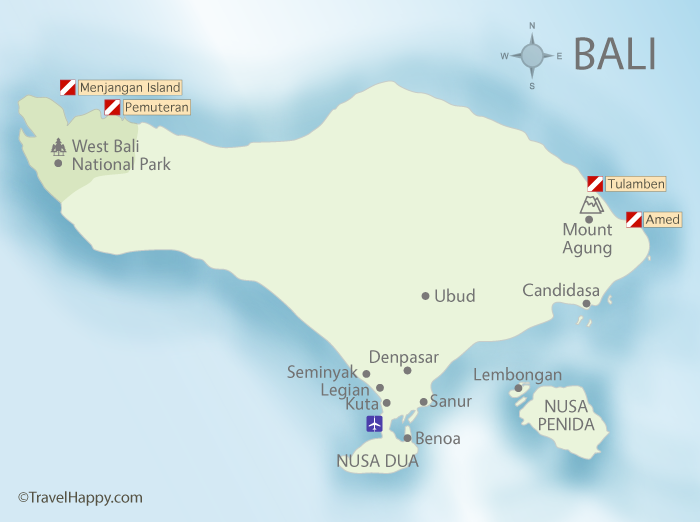 Famous for the West Bali National Park, West Bali is a relatively undeveloped part of the island with almost no mass tourism. Travellers that want to experience Bali’s beautiful habitat up close without the usual crowds will love West Bali’s walking trails. 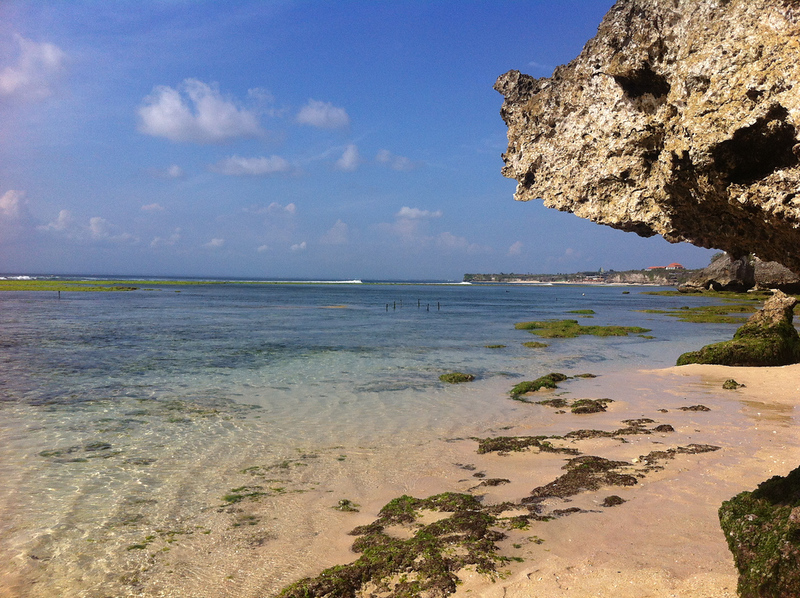 Another quiet side of the island, North Bali is famous for its excellent snorkelling and diving. A variety of fishing villages dot the northern coast of Bali, making this a great place to escape the crowds of South Bali and enjoy a slower pace of life. Bali is home to some of the world’s best beaches, and there’s no better way to start your holiday than to spend a few days enjoying the sun, sand and surf. Bali’s airport is located in the south of the island, making all of the South Bali beach resorts within easy reach after you arrive. If you’re a young solo traveller and you prefer meeting people and going out at night to peace and quiet, choose Kuta or Legian. If you prefer a more upmarket atmosphere with high-end hotels, restaurants, clubs and boutique shopping, choose Seminyak. If you want the most luxurious experience possible and don’t mind missing out on Bali’s cultural side for the first few days of your holiday, choose Nusa Dua. Based in Legian, UP2U Surf School offers group, semi-private and private surf lessons for all skill levels. All lessons include free surfboard rental, as well as free transportation in the Kuta, Legian and Seminyak area. Another surf school in the area, Odysseys Surf School is based in Kuta and offers group surfing lessons and private coaching for students of all experience levels. Open since 2003, Odysseys also offers surfing tours for small groups to some of Bali’s top surfing locations. Located in Seminyak, Santai Surf School Bali offers beginner and intermediate surf lessons for groups and individuals. Lessons take place on a quiet strip of Seminyak beach, making this an extremely convenient choice if you’re staying in the area. Bali Fishing Boats runs chartered fishing tours from their location in South Kuta. The staff and crew members have a detailed knowledge of nearby fishing spots and can take you to a variety of locations as part of your trip. Based out of Seminyak, Adventure Scuba Diving offers PADI courses, dive trips and boat tours to many of Bali’s top diving sites. Private charter boat rental is also available for groups of up to 14, including private scuba diving with a PADI professional. Located in Kuta, AquaMarine Diving offers a variety of one day diving trips, multi-day safaris and PADI dive courses. Tours are available to a variety of dive sites around the island, including well known sites in Tulamben Bay and around the Amed coastline. Bali’s cultural centre, Ubud offers a very different experience from the island’s popular southern beaches. Famous for its historical temples, yoga retreats and cultural classes, art galleries, day trips and more, Ubud is where we recommend spending days five to nine of your holiday. Ubud’s wealth of options means you can do something new every day, from cooking or yoga classes to visiting ancient temples and historical sites. Below, we’ve listed some of the top rated accommodation options in Ubud, as well as the best things to do during the day. In accordance with local customs, modest dress is required at all temples in Bali. Most popular temples offer sarong rental for guests, typically for 10,000 to 15,000 IRD. Make sure you dress appropriately to avoid being denied entry. One of Ubud’s most popular cultural sites, Goa Gajah (also known as the “Elephant Cave”) is a ninth century cave with a variety of impressive statues. Visitors need to pay 15,000 IRD to enter the area, which includes sarong rental. Yeh Pulu is a 14th century temple located a short distance from Goa Gajah. It’s worth visiting both at once, as they’re only a few minutes from each other. Access to the temple is through a small jungle path, giving it an isolated feel. Better known as “Ubud Palace”, Puri Saren Agung was once the official residence of the Ubud Royal Family. The palace is an important local landmark and a popular attraction, with some of its buildings open to visitors. Famous for its natural holy water springs, Tirta Empul is a large temple located to the north of the town of Ubud. The temple pounds, which are said to contain holy water, are a bathing spot for locals taking part in cleansing rituals. Guests can bathe in the holy water at a cost of 10,000 IDR for sarong rental. Storage lockers are available within the complex. One of Ubud’s smaller and less visited temples, Saraswati Temple is known for its beautiful lotus pounds. The temple hosts dance shows and cultural performances in the evening. Built in the early 11th century, Kehen Temple is a Hindu temple located to the north of Ubud in the small city of Bangli. As one of the biggest temples in Central/East Bali, Pura Kehen attracts quite a lot of visitors, making it best to visit early in the day if you’re visiting in high season. Although they’ve grown into a slight tourist trap, no visit to Ubud is complete without visiting at least one of the local rice terraces. 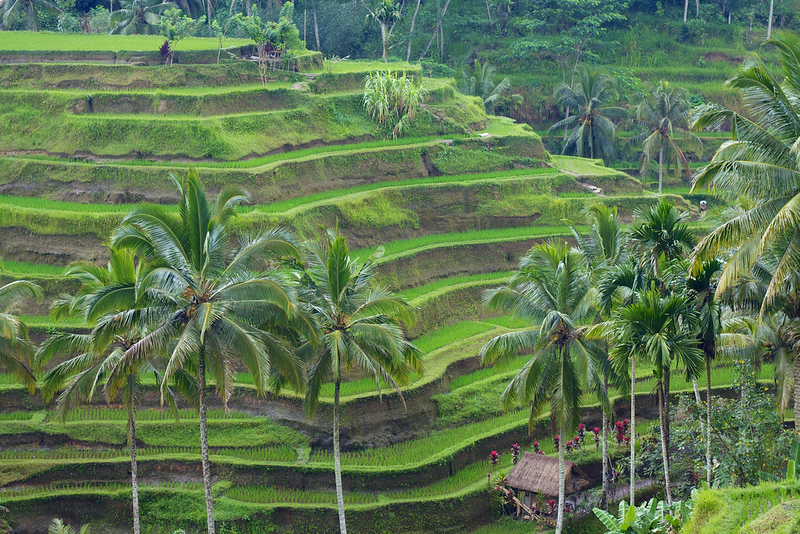 The Tegalalang Rice Terraces, located to the north of Ubud, are the area’s most well known and frequently photographed. Paon Bali Cooking Class is a Balinese group cooking class hosted by local chefs Puspa and Wayan. The class is hosted in an open air environment just outside of Ubud, with hotel pickup and dropoff available for students. Payuk Bali Cooking Class is another popular cooking class based in Laplapan Village, a short distance from Ubud. Students can learn non-vegetarian and vegetarian recipes in an outdoor classroom surrounded by rice fields. Chez Monique Silver Smith Class is one of Ubud’s most popular crafts classes. By the end of the class, students will have created their own piece of silver jewellery using a variety of tools and up to 10 grams of high quality silver. Widya’s Batik is a group art class teaching the Indonesian art of batik. Students are instructed by batik artist Widya, who goes through the entire process of creating batik art. By the end of the class, you’ll be able to take home your own completed batik artwork. Deking Batik is another group batik class. Hosted in an open air classroom overlooking beautiful rice fields a short distance from Ubud, Deking Batik is great for children and adults interested in learning the art of batik. Ubud Yoga House offers a variety of group yoga classes with an outstanding view over local rice fields. Classes are aimed at beginners and experts alike and are an excellent way to relax and exercise after a day of exploring the area’s temples and cultural sites. Another popular yoga retreat, Blooming Lotus Yoga offers an upmarket, relaxing experience in a private resort setting. Guests can rent private villas for the duration of their stay while taking part in a variety of yoga classes. Taksu Yoga and Movement Arts is a yoga studio in the centre of Ubud offering group classes for visitors and expats alike. Classes are held in an open air setting in small groups, giving lessons a relaxing and personal feel. If you feel like an alternative to yoga, Ubud Pilates is a great way to keep in shape and improve your flexibility during your time in Bali. Group classes are available for beginners and experts in a beautiful open air studio. East Bali is quieter and less crowded than the island’s south, with a fantastic selection of beach towns and fishing villages for you to spend time in. It’s the third stop on our itinerary, where we recommend you spend one or two nights enjoying the peace, quiet and clear water. Mount Agung, Bali’s tallest mountain and an active volcano, dominates the landscape of East Bali. If you’re in reasonably good shape, climbing the mountain as part of a guided tour offers an incredible view of Bali that’s definitely worth the journey. Where should you stay in East Bali? East Bali is less densely populated and busy than the south, giving it a more relaxing feel and a variety of quiet, chilled out places to stay. We recommend Candidasa and Amed, two stretches of coastline offering some of the best snorkelling, diving and relaxing beach life in Bali. Candidasa is a laid back beach town on the southern coast of East Bali with a variety of hotels and several isolated beaches within easy reach. Pasir Putih, a small and quiet beach with 400 metres of white sand, is a short drive out of Candidasa. Amed is one of Bali’s best areas for scuba diving and snorkelling, with many of the island’s best dive sites within easy reach. Quiet and peaceful, it’s popular with honeymooners and divers for its peaceful atmosphere and calm, clear water. Tulamben is a quiet fishing village located further north. Popular with divers due to its proximity to the USAT Liberty wreck, it’s worth visiting if you’re a passionate diver but otherwise has little of interest for visitors. Rising more than 3,000 metres above sea level, Mount Agung is Bali’s tallest peak and a very popular trekking destination. From the Pasar Agung Temple starting point, it takes three to four hours to make it to the summit. Bali Sunrise Tours offers guided tours to the summit of the mountain starting from early in the morning (and aimed at reaching the summit before sunrise) and from 7 AM. The tours include assistance from an experienced English speaking guide, flashlights, water and snacks, a full buffet lunch and transport to and from the mountain in a mini-bus. 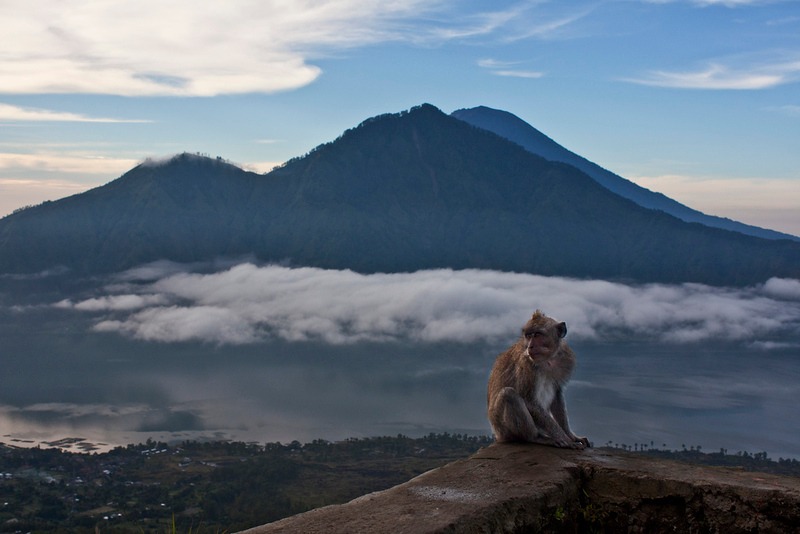 The best time to climb Mount Agung is from April to October, in Bali’s dry season. Most tours to the summit are suspended during the January to February rainy season. You should be in fair to good shape to embark on the tour, as the complete tour requires six to eight hours of walking. WikiTravel’s Mount Agung page and TravelFish’s guide to preparing to climb Gunung Agung are two great reads for people interested in climbing the mountain. The climb is challenging but very possible for most fit, healthy people, with a fantastic view of Bali as the ultimate reward. East Bali is where you’ll find the region’s best snorkelling and diving. If you didn’t already enjoy the area’s excellent clear water and marine life in the first four days of your visit, book a day of snorkelling or diving while you’re in East Bali — it simply doesn’t get any better than this. Based in Amed, Adventure Divers Bali offers dive trips to a variety of local sites, as well as PADI dive courses for beginners and experienced divers alike. Non-divers can join most dive trips for snorkelling. Another Amed diving company, Baliku Dive Resort offers beginner and advanced diving courses and trips to a variety of local dive sites. Trips to the USAT Liberty shipwreck and snorkelling trips for non-divers are available. Based right in Tulamben, Tulamben Wreck Divers is one of the original dive shops, Australian owned and a convenient choice if you’d like to dive the wreck of the USAT Liberty. Tulamben Wreck Divers offers a variety of dive trips, ranging from local dive sites to night diving and instructional courses for beginners and advanced divers alike. 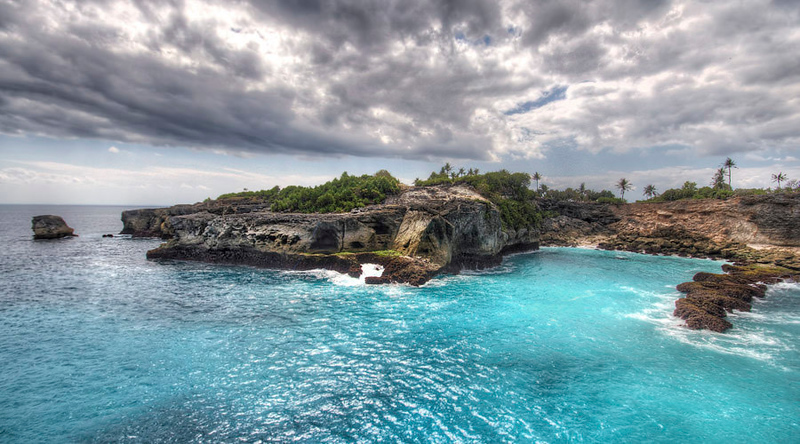 Located off the southeast coast of Bali, Nusa Lembongan is a small, quiet island known for its surfing and beach life. Uncrowded and unspoilt, it’s a great place to relax and unwind for your last few days in Bali before returning home. The easiest way to get to Nusa Lembongan is by speed boat. Boats leave from Sanur Beach in the south of Bali and take 25 to 30 minutes to reach the island. Slower ferries are also available from Sanur Beach, with a travel time of about 90 minutes in normal weather conditions. While most of the boats to Nusa Lembongan will drop you off on Jungut Batu, you’ll find the best beaches elsewhere on the island. Walk along the coast to Mushroom Bay or cross the island to reach Dream Beach, both of which have clearer water and smaller crowds. Devil’s Tears: The Devil’s Tears, a rocky outcrop on Nusa Lembongan, is one of the best places on the island to catch the sunset. Visit at high tide and watch the waves smash against the shoreline, or right before sunset for a spectacular view over the ocean. Kayaking and Paddleboarding: The island’s mangrove forest is a great place to kayak and paddleboard. There’s no need to go as part of a tour — instead, just show up and rent a kayak or standing paddle board from nearby to explore the forest on your own. Nusa Lembongan is one of Bali’s most popular surfing spots, with several great breaks that are perfect for beginners and intermediate level surfers. Newbro Surfing hosts surf workshops and private classes for surfers of all levels interested in taking on the island’s waves. There is some fantastic diving around Lembongan, but be warned – you must choose a well-regarded dive school who will take you to dive sites suited to your level of skill. There are plenty of sites suitable for beginners, and also deeper sites with strong currents. Big Fish Diving and World Diving are two solid dive operations. Ready to travel home? It’s best to stay close to the airport on your last day in Bali, which means returning from Nusa Lembongan to South Bali. Take a speedboat or catch the slow ferry back to Sanur Beach, then stay in any of the southern beach resort areas for your final night. To get to the airport, either ask your hotel’s staff to call a taxi for you or book online through Blue Bird Taxis. Remember that traffic in South Bali can be very congested and leave enough time to get to the airport in time for your flight. Do you only have one week to visit Bali? If a two week holiday isn’t possible, you can see most of Bali’s highlights in seven days. Our Bali One Week Itinerary covers Bali’s top cultural attractions and experiences in Ubud, as well as the best things to do on the southern beaches, all in just one week.